Janet Todd has spent much of her career writing about female novelists, and now – at the age of 73 – she’s finally written a novel of her own. Emma Higginbotham meets her. 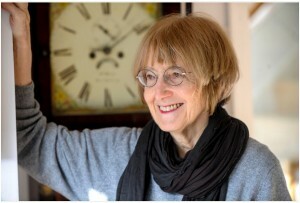 If you have a question about a female author, the chances are that Janet Todd will be able to answer it. 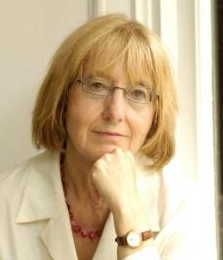 An eminent Cambridge academic who’s written dozens of books about women writers – including an encyclopaedia, no less – she’s an expert on all manner of literary ladies, from the little-known to the stellar, and is particularly noted for her work on Jane Austen. But now there’s a new female author on the scene who’s commandeering Janet’s attention. Herself. At the tender age of 73, the former president of Lucy Cavendish College is about launch her debut novel, A Man of Genius. And if the pre-publication praise is anything to go by (‘haunting’, ‘intriguing’, ‘beguiling’, ‘darkly mischievous’, ‘mesmerizing’, ‘utterly compelling’) it seems that Ms Todd has a hit on her hands. Jane Austen would certainly approve of the novel’s setting, as A Man of Genius opens in Regency London – but anyone expecting an Austen-esque romance between a perky, loveable heroine and a darkly dishy hero will be in for a shock. Our central character is Ann, a troubled author of gothic horror novels, who becomes obsessed with Robert James, a charismatic – and equally troubled – writer with rather loftier ambitions. They embark on a fraught relationship, “a love flecked with revulsion”, and move to Venice, where life takes a nightmarish turn. But why? Balding, pasty, and cursed with a violent temper, James is hardly Mr Darcy. Yet Ann is arrested by his charisma: “He’s not physically attractive, not immediately,” agrees Janet. “I wanted a comparison between the conventional, stylised characters that she had to create – tall, dark, handsome, broody – and the person that she was obsessed with. The chemistry is there, and they’re caught. Newnham, too, had the distinct whiff of the girl’s boarding school about it (“you got out of it as quickly as possible, and marched over to the men’s colleges”), and the ladies were put very much in their place in the academic arena. She spent three-and-a-half happy years there, teaching English literature to university students, and met her first husband; they moved to his native America and went on to have a son and a daughter. But the marriage didn’t last. “It did not. The idea was that we would live part of the time in England – I had this rather idyllic notion of what England was like, taken entirely from Wordsworth – and he had agreed but then didn’t want it, so there were strains there. She retired last summer and, now an honorary fellow at Newnham, Janet lives near the college with second husband Derek – and is thoroughly enjoying her new career. “Yes yes yes! I have to say I’ve been so happy ever since. This is really a good period,” she says. And any regrets about waiting so long to start finally writing books of her own? “I suppose I wish I’d perhaps given up administering a little earlier, and got going then, but I might not have had the luck of finding the publishers,” she shrugs. :: A Man of Genius is published by Bitter Lemon Press on Thursday, March 10, priced £16.99. The book will be launched at Heffers Bookshop, Trinity Street, Cambridge, on Tuesday, March 8, at 6.30pm, with extracts read by Miriam Margolyes. Tickets are free but must be booked in advance – click here for details.